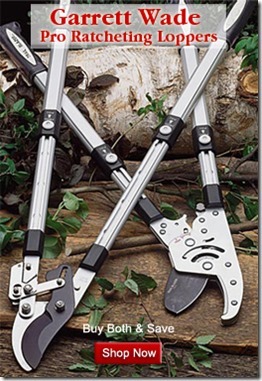 If sharpening your pruners is a task you dread, you probably aren’t using the Speedy Sharp. This compact sharpener fits in the palm of your hand, and makes sharpening fast and fun. While most people sharpen tools in winter, hand pruners need sharpening much more often – every 2-10 hours depending on the brand of pruner (Felcos need sharpening more often, Bahcos less). A dull set of pruners puts strain on the wrists and can leave you struggling to get a smooth cut. So why do so many gardeners put off this simple task? Well, anyone who’s used an old-school file to sharpen knows that it’s awkward and time-consuming. Most files are too bulky to fit easily against a pruner’s blade, and the number of strokes it takes to sharpen makes the process seem like a bigger project than it is. The Speedy Sharp changes all of that. It uses a super-strong carbide blade to sharpen in just a few quick swipes, and it’s so small it angles easily onto your pruning blade for that perfect edge. To use, just set the shiny end of the Speedy Sharp flat against the beveled edge of your pruner blade. Then tilt the Speedy Sharp away from the blade, and use moderate pressure to run the Speedy Sharp along the length of the blade towards the tip. Repeat 10 times, and you’re done. If you want a smoother finish, hone by tilting the Speedy Sharp in the opposite direction and running it over the blade a couple more times. You can sharpen hand pruners in less than 30 seconds. 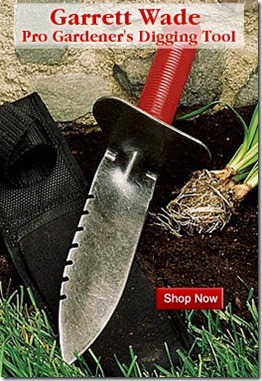 It also works great on loppers, pole pruners, and hedgers. A hole in the handle lets you clip the Speedy Sharp to your belt loop or bucket so it won’t get lost. The lifetime warranty makes this a tool you can count on. The color selection makes me think the product is geared more towards hunters and outdoorsmen than gardeners. At the hardware store or at Amazon, it comes standard in an unattractive shade of industrial orange. While the traffic-cone color makes it easy to find if you drop it, I’d prefer a stylish purple or maybe a dishy chartreuse version. That said, if you want to call the company direct to order it, you can choose from functional-looking shades of orange, green, blue, red, black, or yellow. 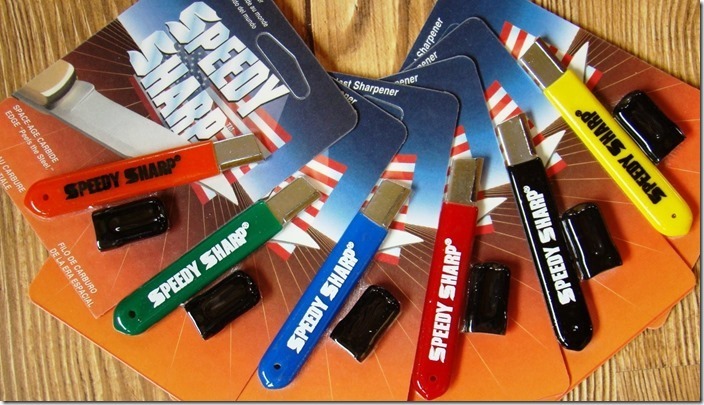 The Speedy Sharp makes sharpening your tools fast, effortless, and fun. Once you get used to pruning with a freshly-sharpened blade, you’ll find you don’t want to be without this tiny but useful tool. An edited version of this review was originally published in Fine Gardening Magazine.